If arriving by taxi, tell the taxi driver that the hostel is two blocks from the Santo Domingo Church. Taxi drivers will also be familiar with the old Cumanda (now defunct) national bus station which is one block away. The hostel is also one block from the most famous part of Colonial Quito, "La Ronda." La direccion es J. Paredes S 1-49 y Rocafuerte. 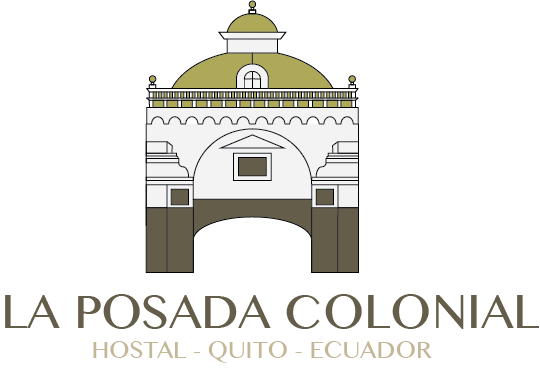 Es un hostel que se llama La Posada Colonial y se ubica a una cuadra del antiguo terminal terrestre Cumanda y unas dos cuadras de la iglesia Santo Domingo. If you don't speak Spanish, consider printing out this sentence and handing it to a taxi driver. Of course, you can always call us and we'll help you find your way here. We also offer a private taxi service from the airport to the hostel which is operated by a member of our family.